A Boxer holds everything. It is defined as alert, brave, self assured, strong, fast and determined. Is extremely devoted to the family and has a great protection instinct. 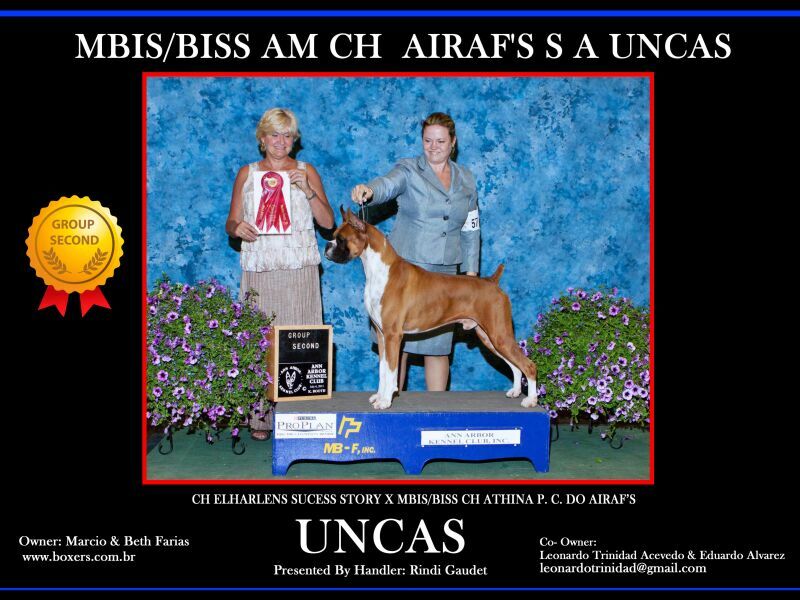 All world knows the breed is very affective to children. The ones who live with a Boxer soon realize its good character; even to the strangers the Boxer is not as ostensive as the other guardians. If the dog meets a stranger entering the house, he would only watch, then he will firstly bark if fells any trouble. If the stranger is a friend of the house, he can be friendly and kind. Attitudes like that can make a mess towards the capacity of the breed at work. But among the dogs of the group, the Boxer is the only one I trust to have around my daughter and family. 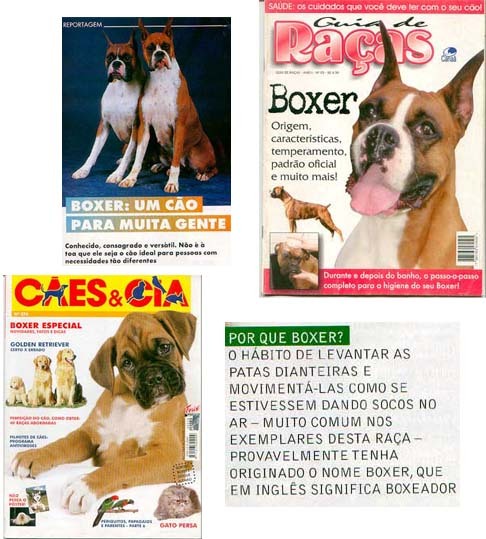 Mostly books and magazines say that the breed has great abilities as a guardian; I do not see them attacking me around when I visit other Boxers’ owners. Why do they not go over any stranger? 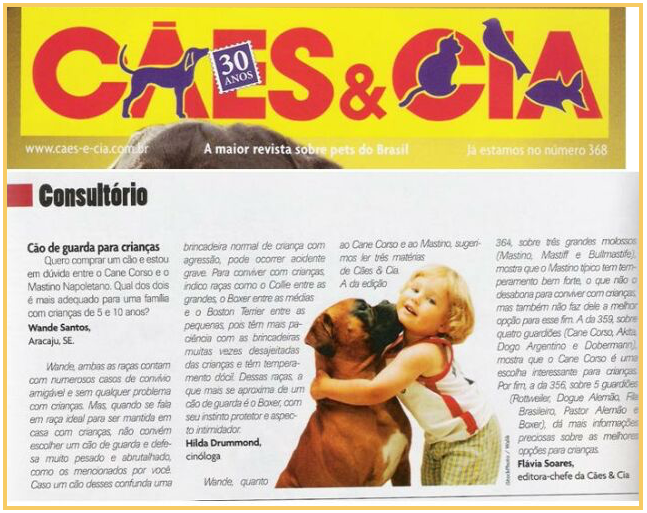 Asked the Brazilian magazine Cães & Cia, the reader Mr. Marco Aurélio Ciarlini Vollner, Militar Policeman from Região dos Lagos, in Rio de Janeiro. He was searching for the right type of dog to guard his home. 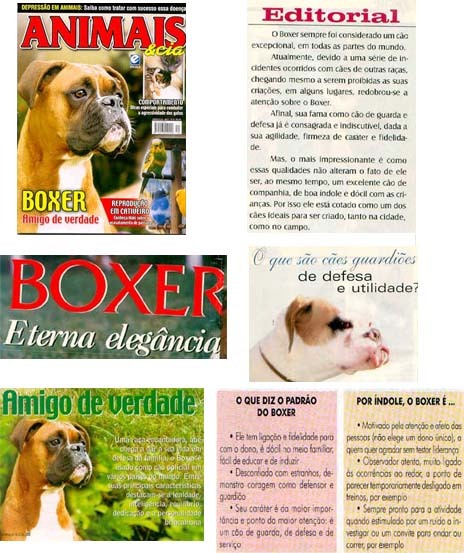 "The Boxer became a family dog, I Am not sure if it can still be considered as a guardian." There are people who refuse to sell Boxers to guard. 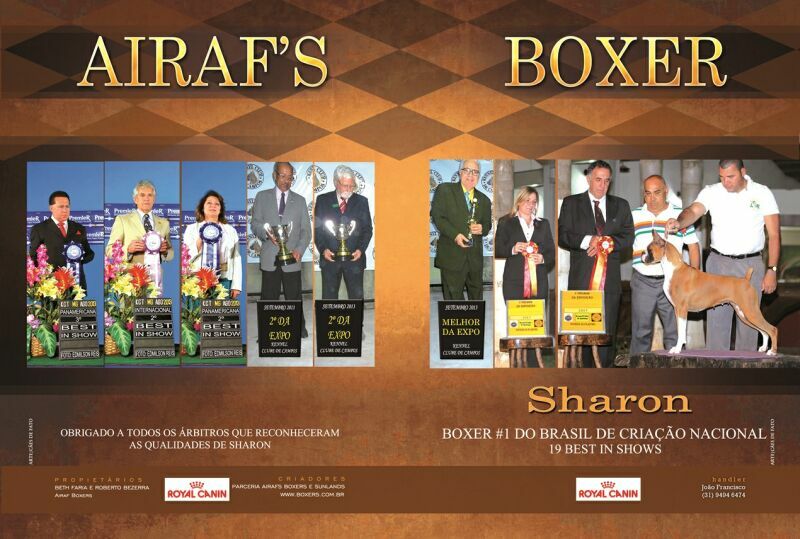 "I know a breeder who became very mad when was asked to sell a Boxer to guard and she recommended a German Shepherd kennel”, complains Regina Coloneri, owner and breeder of Macorê kennel for eleven years and President of Sociedade Paulista do Boxer. 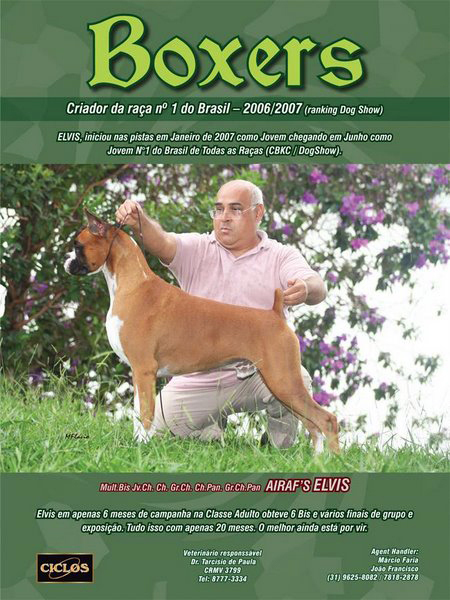 "I doubted the capacity of my first Boxer to guard my house, but I was wrong”, emphasizes Mrs. Sonia Bloes, who now breeds under Emery Bowen kennel, in Itapetininga, São Paulo. Most people that know the breed guarantee: the Boxer cares more than about the Love for the children and people from the house. Reduce the breed to a babysitter sounds very mean. “He is a guardian, just read the standard”, says Regina. The FCI, that uses the German standard, the origin of the breed, says that the breed is terrible at work. The AKC states: the breed is " instinctively a hearing guard dog" e " deliberate and wary with strangers, he will exhibit curiosity, but, most importantly, fearless courage if threatened". And the English TKC defines the breed quite similar. 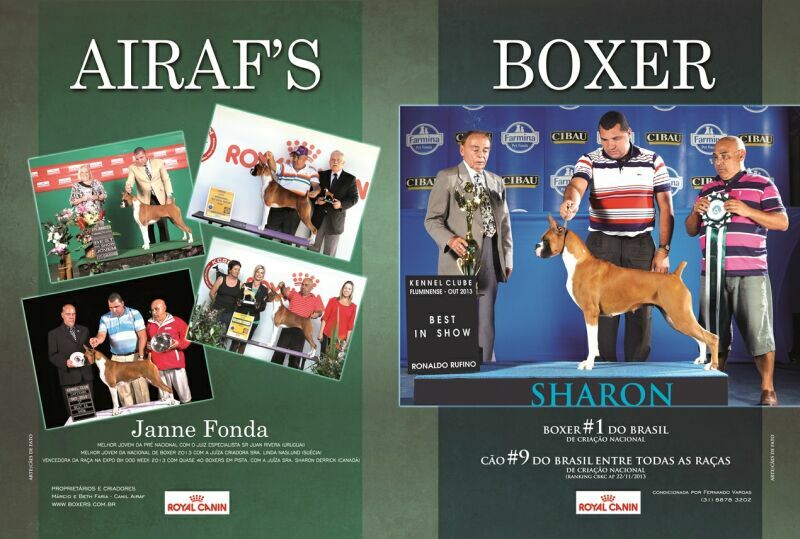 The question is that the breed style has nothing to do with the most furious, the better. The dog will only strike back if he feels threatened or if there is an invasion in his territory. 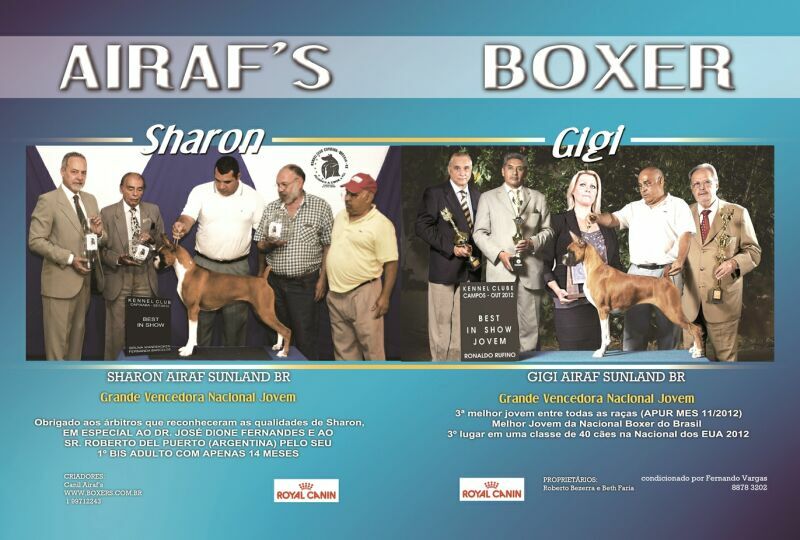 "Before attack, the Boxers pay attention to the situation and people reaction. 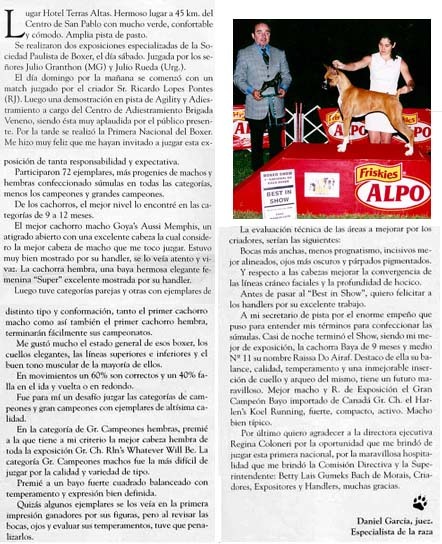 Being sociable does not stop him to defend his owner till death", assures the all-rounder judge Hilda Drumond, which bred Boxers for forty-five years. "Instead of barking, it observes to find out suspect situations. 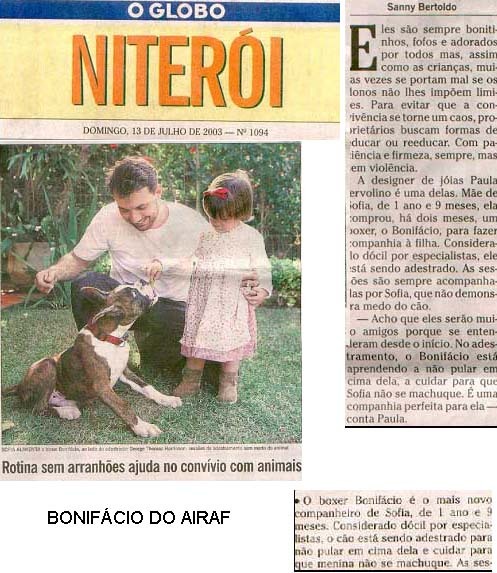 And if so, it gives a sign and attack”, describes Patrícia Carlucci, breeder for ten years under Alkaid Boxer affix, in Ribeirão Preto, São Paulo. 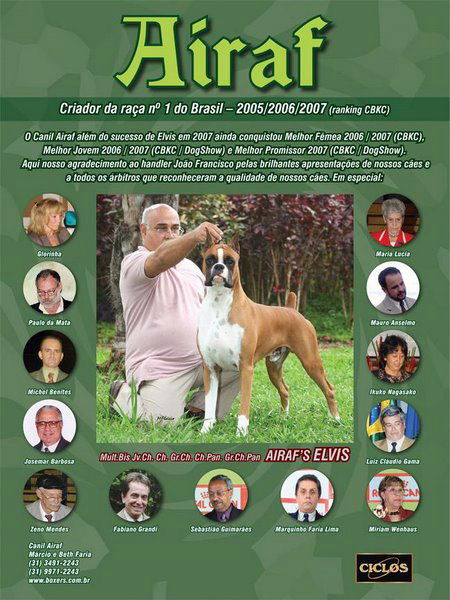 "The extreme loyalty to the family is the motivation to act when there is danger", adds Carlos Rangel, that had studied nineteen Boxers at guard and has more than twenty years on dog training. He is also responsible for the training of around 70 guard dogs in a security enterprise called Pires. A stranger, even when it seems to be a friend of the Boxer, will always be evaluated in the next visit. 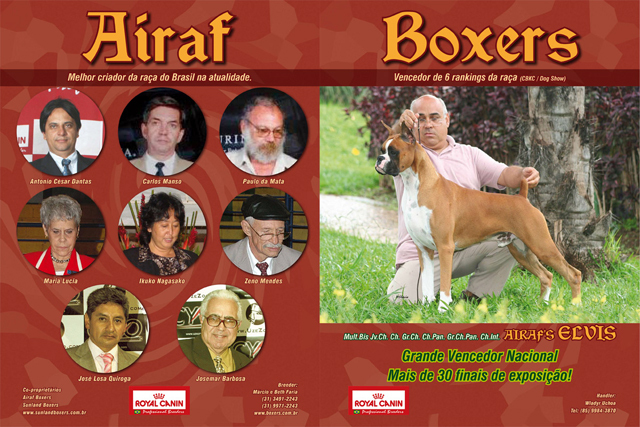 "If I live a Boxer with a stranger, it may like the company; but in case that person is not welcome anymore, He will change his attitude He will possibly act defensive, meet the eye and will bark", predicts Bruce Cattanach, breeder for more than forty years in Harwell, Oxfordshire, England. 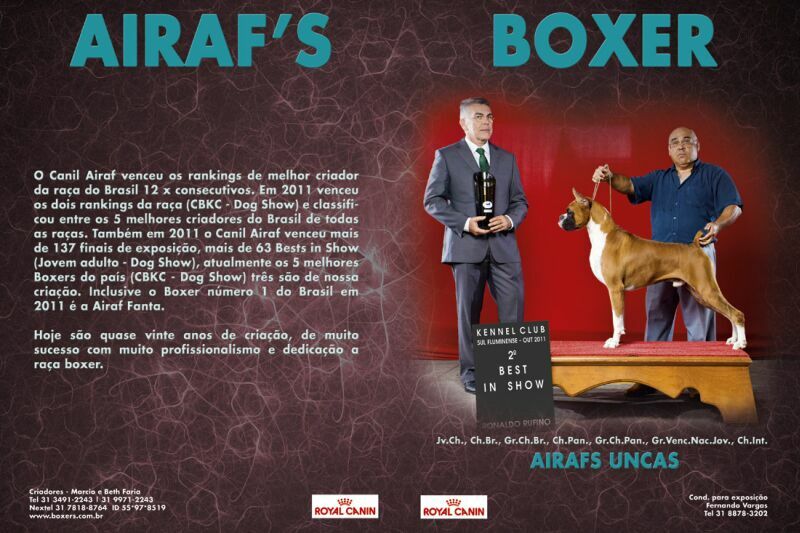 He is also the ex-president of the main kennel club of the breed, the British Boxer Club. 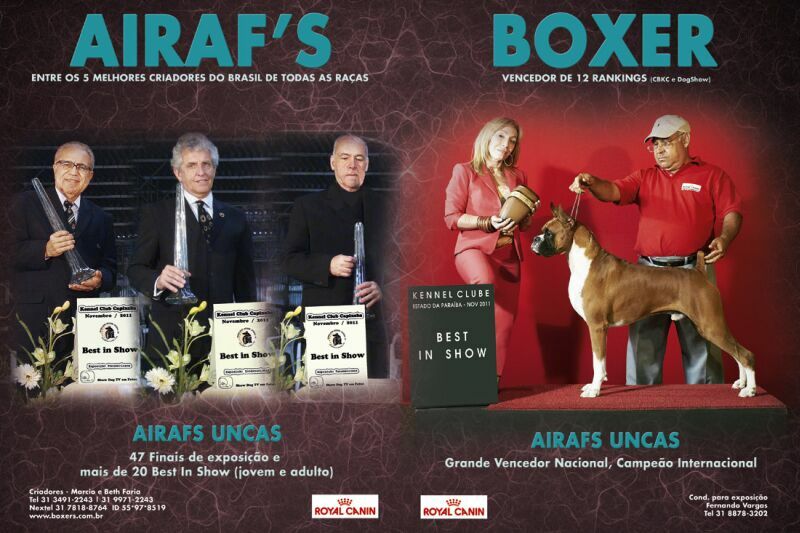 "The Boxer is among a few breeds capable of changing, going from the extreme sweetness to the same amount of aggression, but always keeping control of the situation", believes Gilberto Rocha, breeder-owner for twenty two years from Gama Grass Kennel, de Sorocaba, São Paulo. 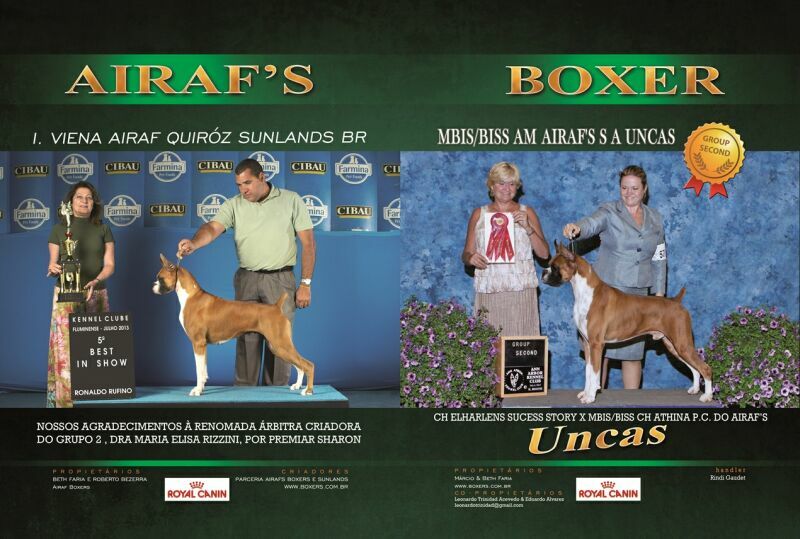 Bad boy face, alert attitude and the chest of fair width - those characteristics give the breed a fearful sight. 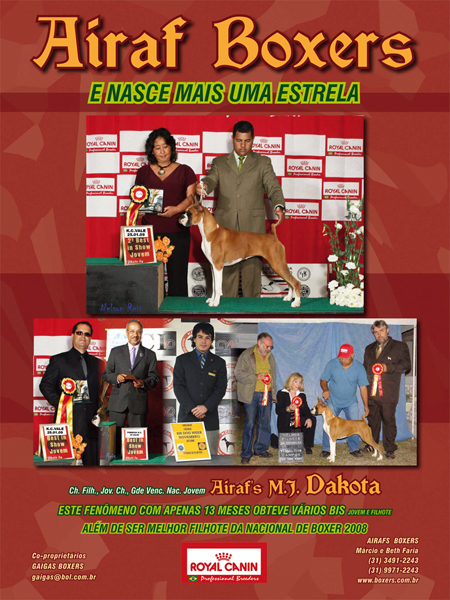 The magazine, edition 197, interviewed a hundred people about seven of the most popular guardian breeds. And the Boxer face was the most fearful feature among all, says Rangel. "It is better not to risk yourself to find out what lies behind a Boxer bad face”, says Hilda. 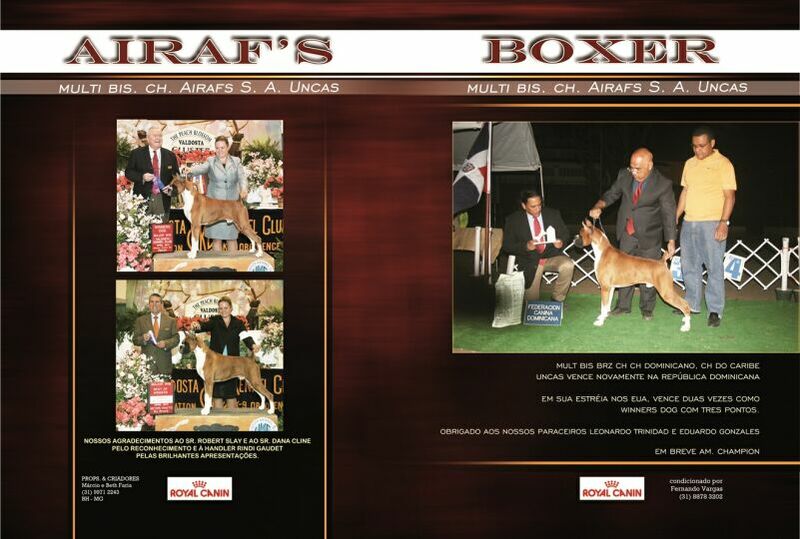 "People are more afraid of the face of my Boxers than of my Rottweilers”, adds Sonia, that owns today six Boxers. Mr. Edward Meyer, who works as a dog trainer for St. Louis Police, in USA, comments: "Recently I went to visit a friend of mine, who came with a Boxer loose by his side. With my experience I became a friend of the dog fast and could even pet him. But even this way I would never enter that house without his owner around; the physical condition and the ever alert vigilance of the Boxer impose respect. 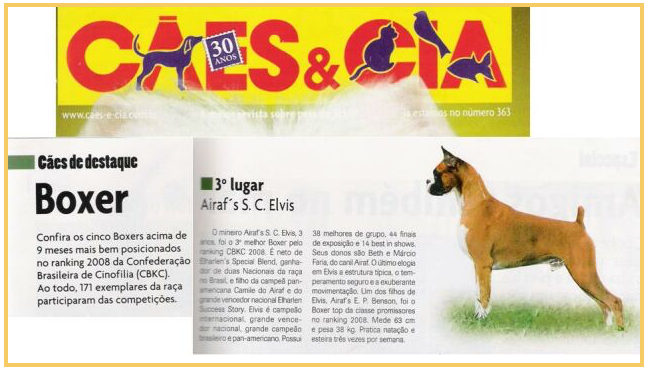 The owner Sonia mentions: "I do not doubt that the breed is a guardian”. She is a witness of two relevant cases. One day her girl was in the kennel extremely nervous. Sonia decided to let her out and saw her running straight to a thief inside the yard. Terrified, the thief climbed the fence and went away. Another time there were two of her girls. Coming back home late at night, Sonia found one door of the house opened, probably it was the wind. And both her girls were there lying down taking care. She Said: “it was amazing. They could have entered the living room, a lot more comfortable.” Witness too of this instinct, Marianne Monteiro, from São Paulo, owns two pet Boxers that always had welcomed her guests very well. One Day two delivery boys entered the house out of a sudden and the dogs went over them dragging an extremely heavy concrete bar where they were chained. Marianne’s mother commanded them to stop when she first heard the barkings. They obeyed right away, but kept their eyes on the boys. Result: those men never came again. Then, Marianne came home and met in the basement the men that were working in her house. They were screaming for help while both dogs were sitting by the door way. "They were strangers that we had forgotten among the dogs while they were loose", said. 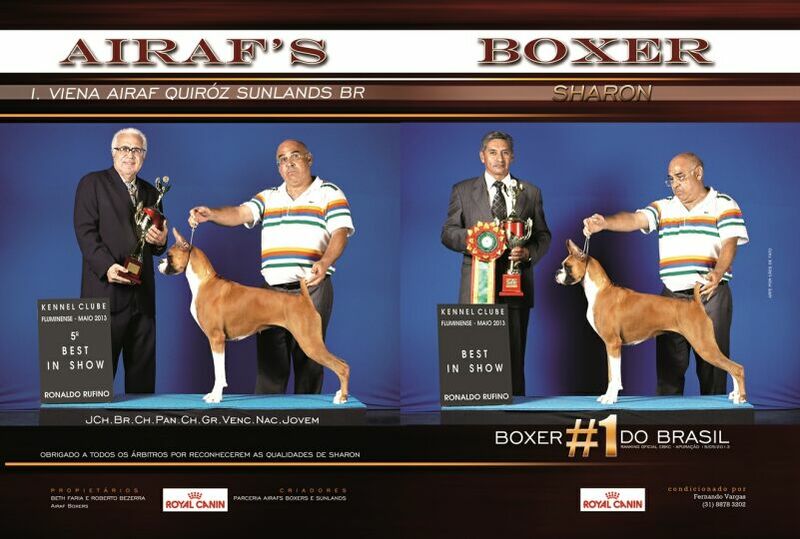 "The Boxer attack is an efficient as any other guardian breed”, evaluates Rangel. He explains: it is fast, with excellent mobility, as the speed and resistance superior to a few heavier breeds; it is determined decided to the fight; his dynamics relies also in his smaller proportions compared to other guardian breeds and that makes him a hard target; acts well in the dark because of hearing and scent; teeth and jaw are very well designed for a powerful bite. 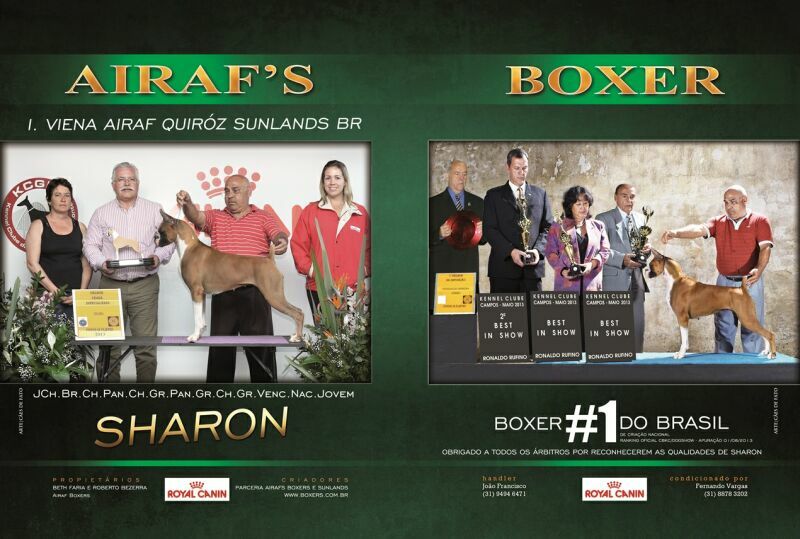 "The Boxer is faster, which compensates the major start speed of the Rottweiler, with a bigger resistance to maintain the rhythm of a fight; overcomes the heaviest weight of the Rottweiler with a better and faster capacity of decision, and has more vitality than the impetuous Dobermann attack", compares Rangel. 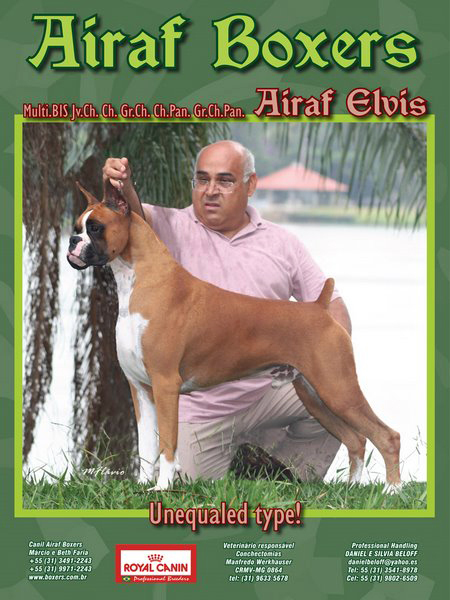 Easily trained and obedient, the Boxer responds nicely o the commands in inspite of other dominate breeds. Rangel, in his tests with the nineteen, among six months and three years of age, concluded that they were highly trainable. "I had trained them and gave them to families that own them as pets. Passed six to eight months, I gave them some attack lessons again and they remembered everything perfectly", he mentions. More than easy to control, the Boxer is self assured, an important quality to avoid accidents.